When Love actually happens between two people this question is usually posed by the man and his lady replies. 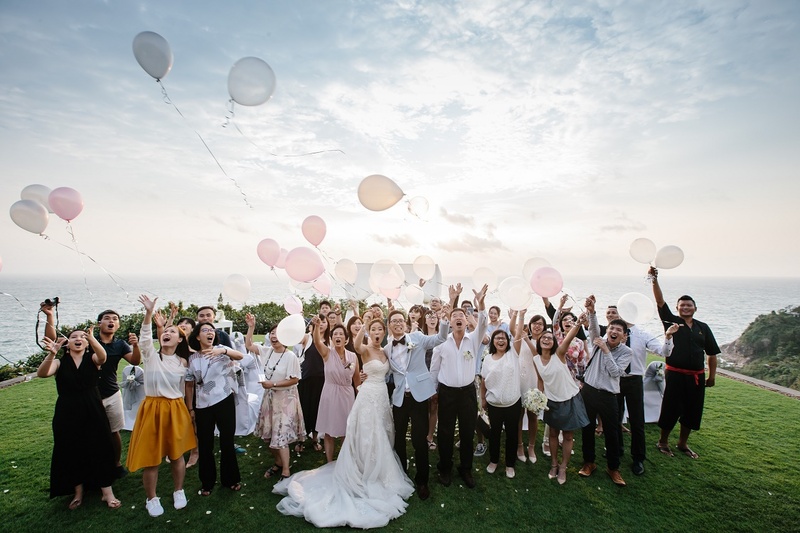 The next step is to find the best location for the bride and groom to take their vows in front of their guests. 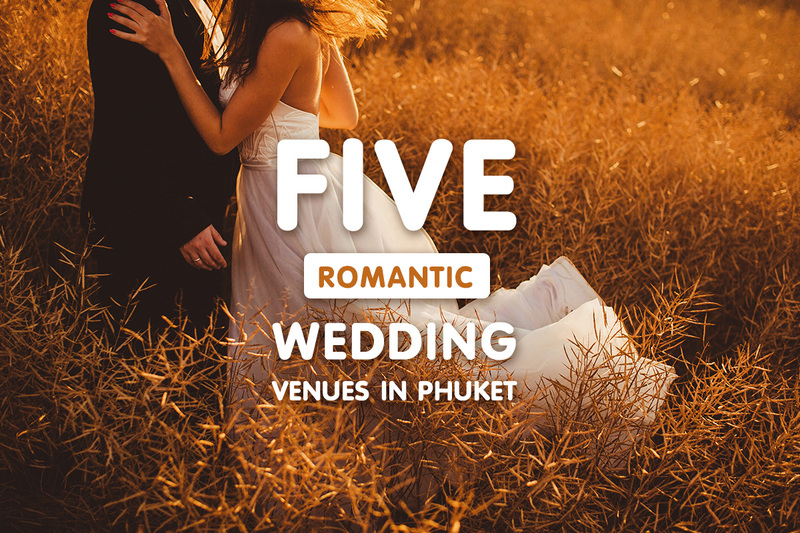 Phuket E Magazine introduces the five best romantic wedding venues in Phuket. 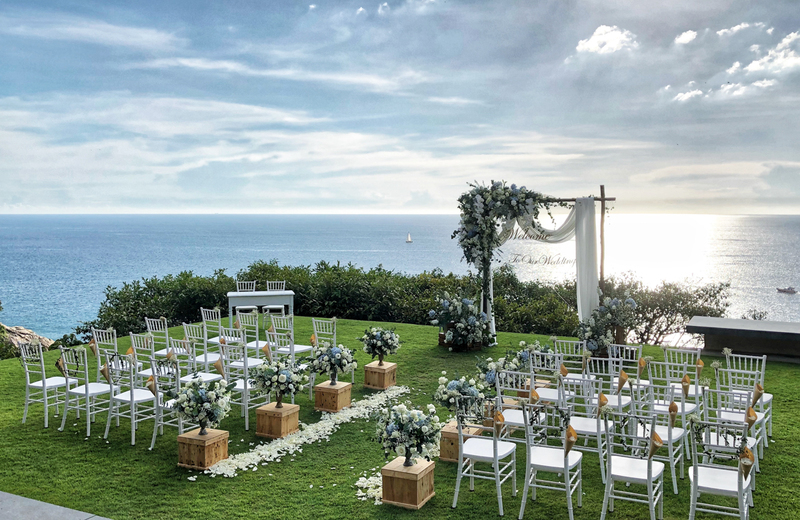 This white wedding chapel has the deep blue sea as its background. 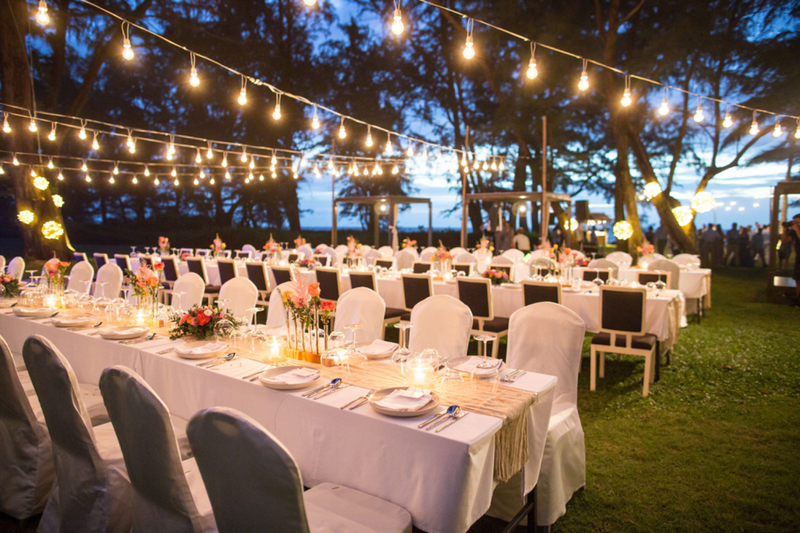 The venue is in Kata Noi surrounded by nature. 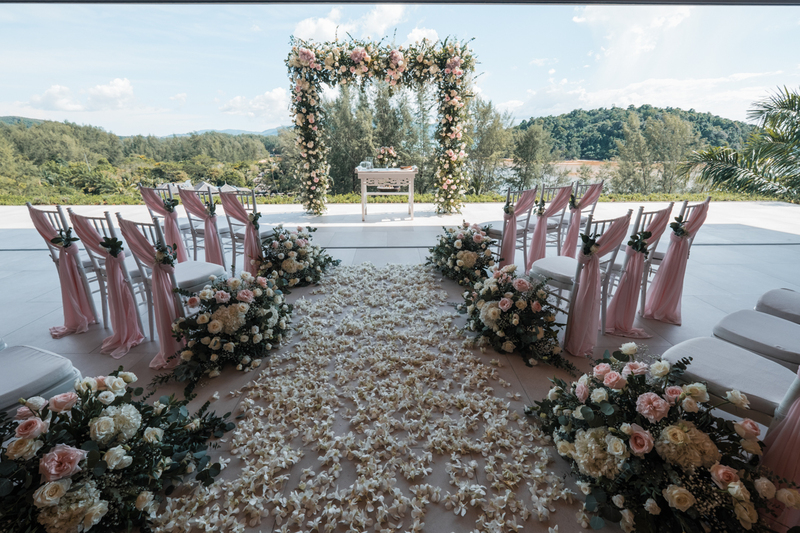 The 16 years’ experience of the wedding organiser at the hotel means that it has witnessed more than more than 1,400 weddings for couples from around the world. 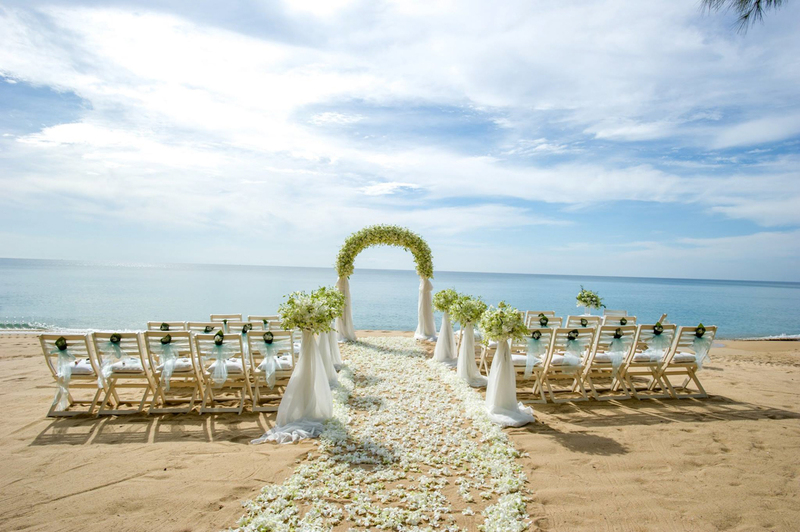 The resort also offers great wedding packages. 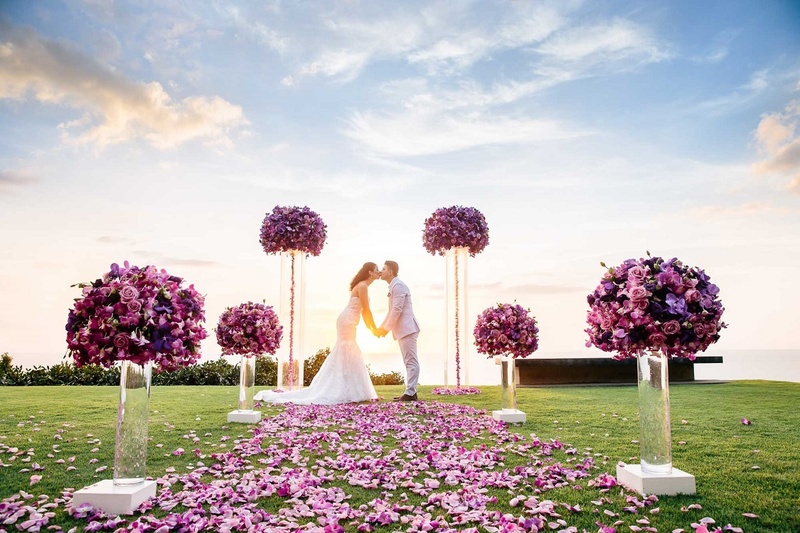 The bride and groom take their vows here where the sky meets the sea at the ‘Miracle Lawn’ at Paresa Resort. 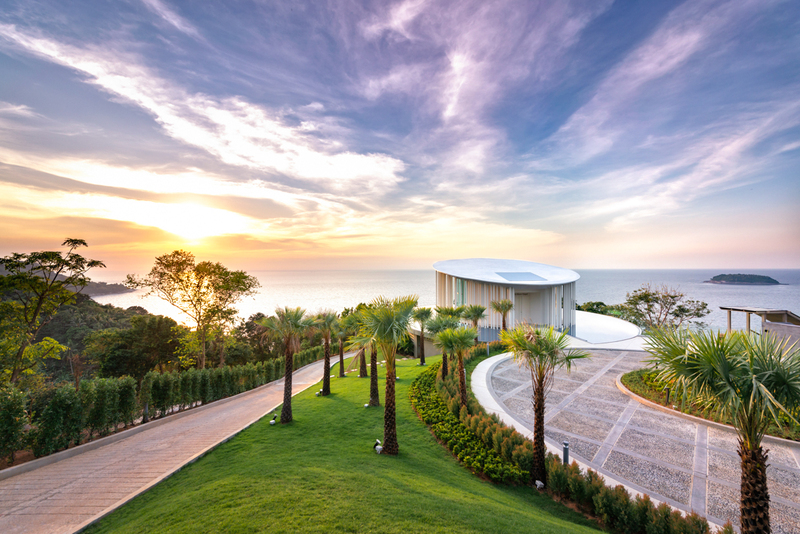 The resort itself is located on the cliffs of Cape Nakalay. This is the dream hotel of every couple. The outstanding and unique views here will impress you. 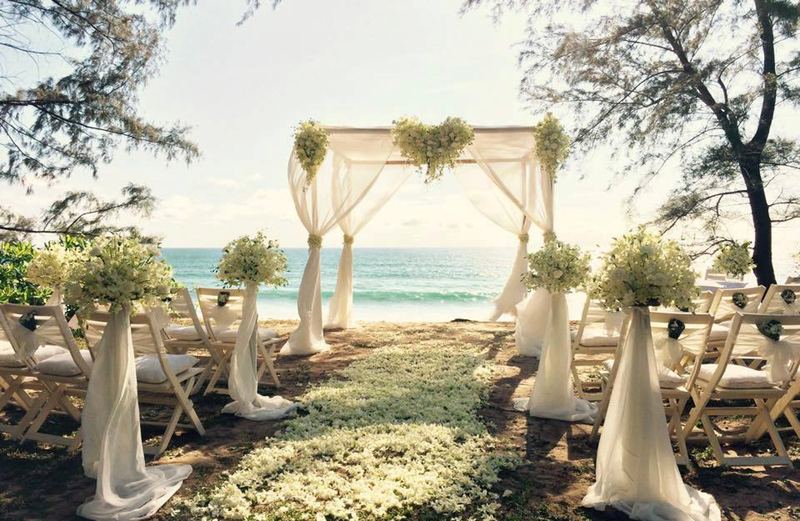 If you dream of getting married in a small cosy garden just a few steps away from a dreamy white-sand beach then Sala Phuket is for you. 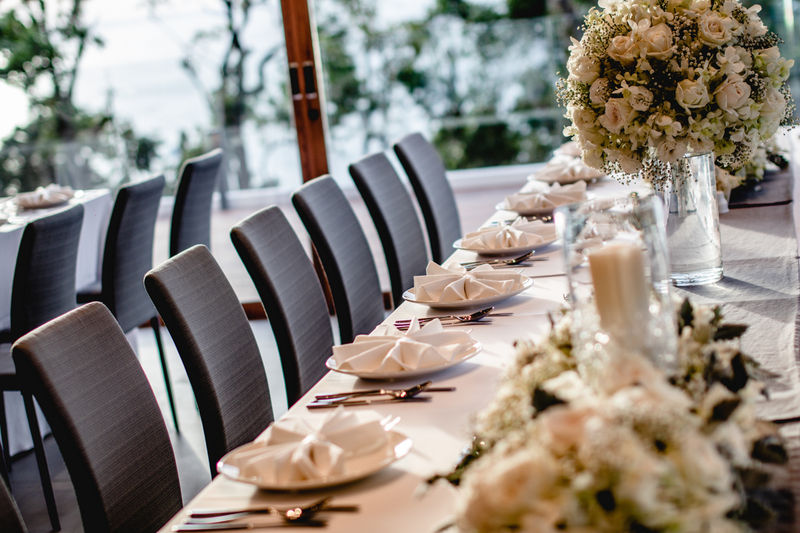 There is also an intimate private dining area for guests as well at Sala. 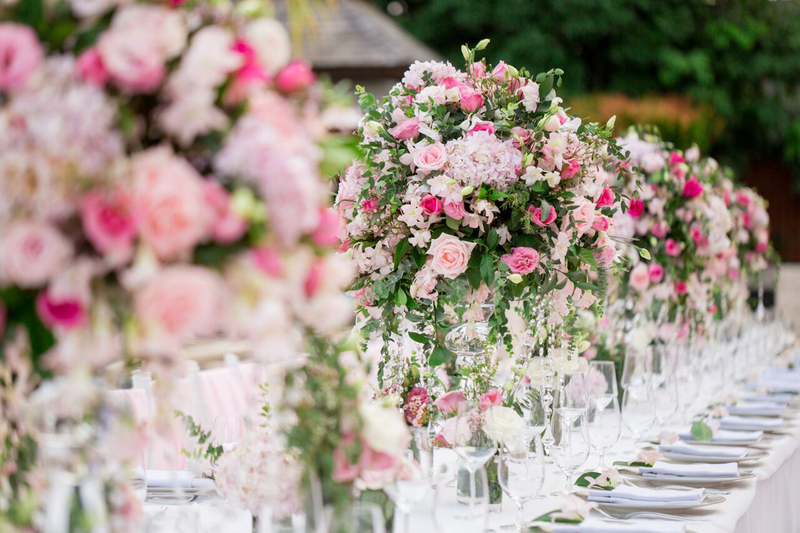 This venue is perfectly suited for a small family wedding with just a couple of friends. 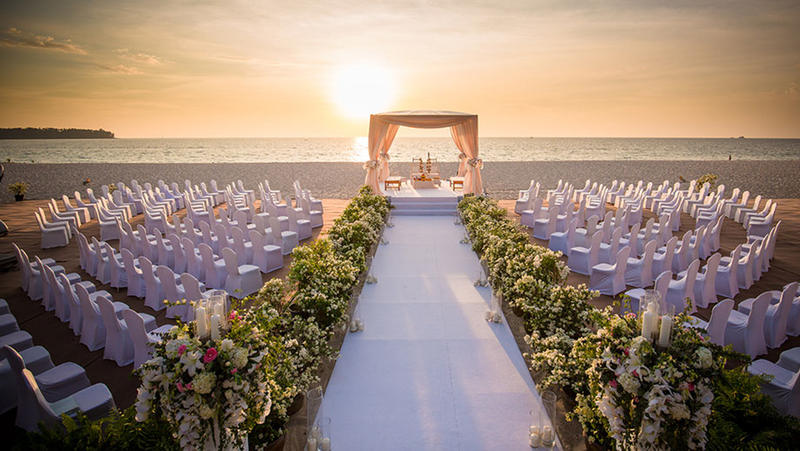 The peaceful beach of Anantara Layan is located in an exclusive west-coast bay. 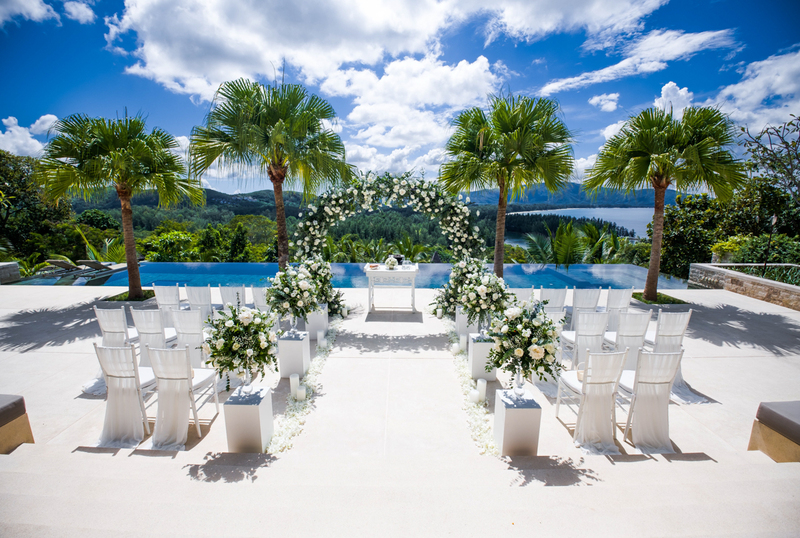 Weddings are held with the infinity pool, the sea and small islands as background. Sunset is the time when the most outstanding views and the colourful sky can best be appreciated. 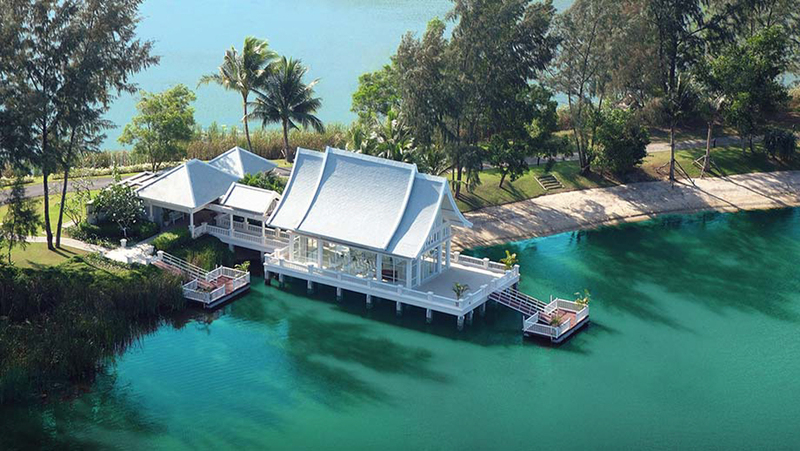 A white contemporary Thai-style house standing over an emerald pond in the middle of pine trees is Angsana’s wedding chapel. 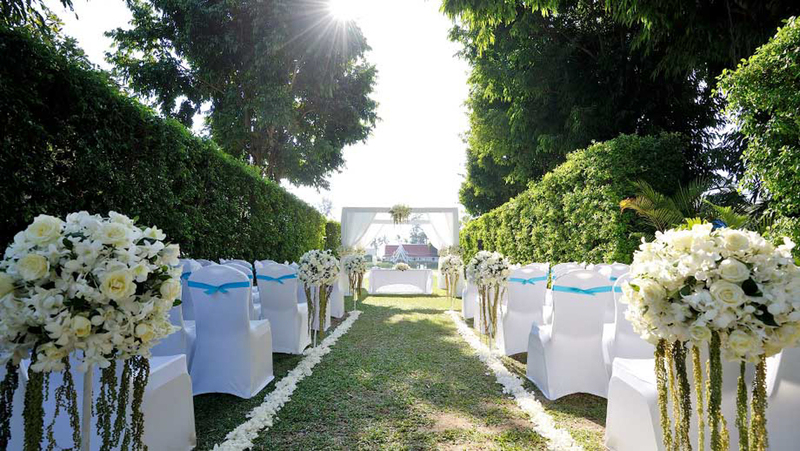 With all the necessary facilities and amenities Angsana is able to create the perfect wedding for you. 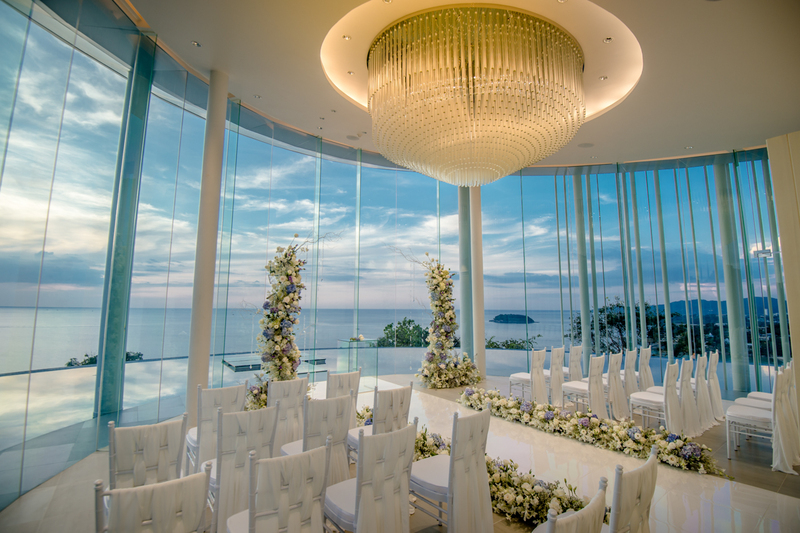 There are also alternative wedding venues to choose from at the resort.